This FAG MB series steel metric measurement lock washer with interior and exterior tabs is suitable for use in locating a bearing on a shaft or adapter sleeve. This lock washer conforms to Deutsches Institut für Normung (DIN) 5406 standard for main dimensions. 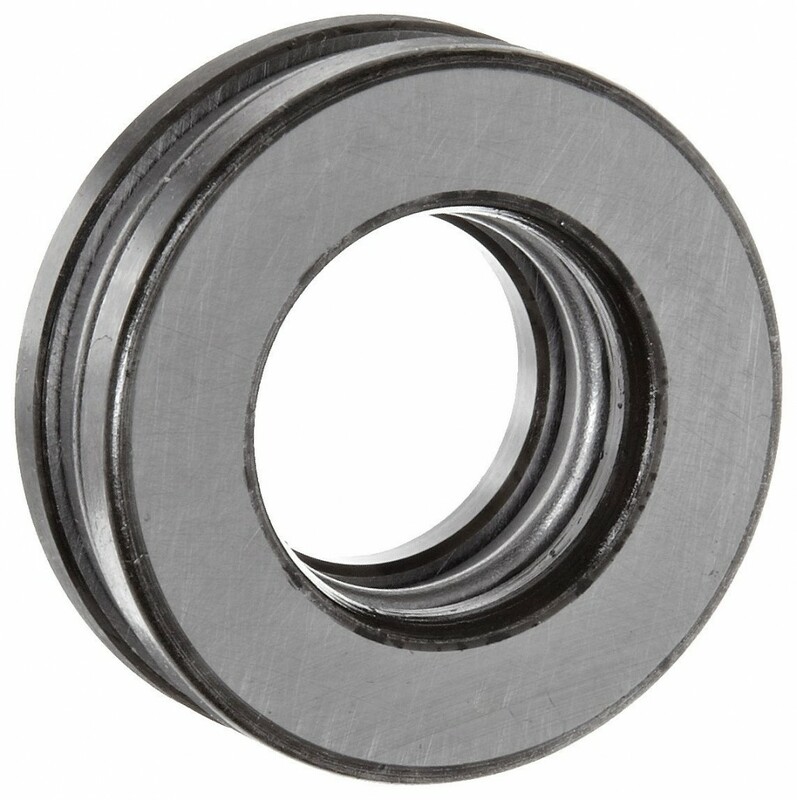 The washer has an interior tab that locks into the shaft keyway and exterior tabs that lock the nut (sold separately) in position when one of the washer tabs is bent over into one of the slots around the circumference of the nut. Plain bearings provide low-friction sliding contact for relative motion between parts of a machine. 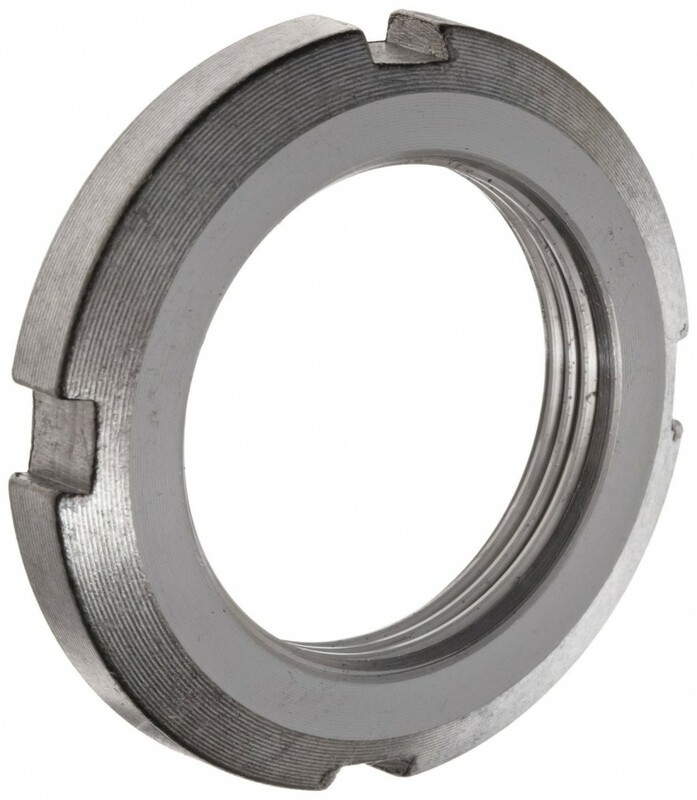 They are the simplest type of bearing, with no rolling elements, and there are three basic types of plain bearings: radial plain bearings (also called sleeve bearings or bushings) to support rotating or reciprocating shafts, thrust bearings (also called washers) to support axial loads on shafts, and linear bearings to support and guide the motion of parts in a straight line. Flanged sleeve bearings have a flange on one end to support axial loads. Spherical plain bearings are radial bearings that allow for angular misalignment of the shaft. Plain bearings are made from durable, low-friction materials such as sintered or cast bronze alloys, plastic, or a combination of a metal shell and a plastic bearing surface. They can be lubricated externally or by a lubricant embedded in the bearing material. Plain bearings are used in automobiles, construction and mining equipment, textile manufacturing equipment, and robotics, among others.